Whilst working at Birmingham Children’s Hospital on the Rare Beauty project one of the most inspirational people we met was Dr Larissa Kerecuk, a Consultant Paediatric Nephrologist and Rare Disease Lead. She works tirelessly to support her patients whilst being instrumental in promoting greater awareness of rare diseases and ensuring a holistic approach is adopted in their treatment and care. Larissa kindly shared her thoughts and experiences of working with patients who have rare diseases and the journey that many face to get a diagnosis. “Patients with rare diseases can often take a long time to get a diagnosis, and it can be misdiagnosed quite a few times as well. Getting a diagnosis is the first step to accessing the right treatment, information and support. You build a close relationship with families on the diagnosis journey and there is always part of them, and a part of you that hopes it’s not going to be the worst case scenario. Even if that proves to be the case then I try and make it as positive as I possibly can. We look on the fact we actually have a diagnosis as something that is pro-active as we will be able to access the right information and treatment. It can be an emotional journey for us all. For me personally its quite hard to switch off. I often think about things when I get home and am cooking dinner or driving. I find that being in the garden and the allotment is when I reflect on a difficult day. I really feel for the families when they are given a bad diagnosis, it really makes you appreciate everything so much more. I think awareness of rare diseases is very important. I think it’s always been the underdog of the medical world. People often think of rare as not being very important but actually it’s very important to understand the mechanisms that underline the rare diseases, because actually it can give you a lot of information about some much more common diseases. Once you get a diagnosis I think the most important thing to do is support that family. One way in which you can do that is to introduce them to other families with the same condition and you’ll find that they can really support each other. Patient organisations play an important role too. I always teach my junior staff that the patients and families become experts in their condition and as a doctor you should not assume you know best. It is essential to listen to the families and if they say something’s wrong, there is something wrong until proven otherwise. When we, as medical professionals, are presented with a rare disease the first thing to do is to try and find out as much as possible. We are very fortunate in this day and age that we can actually get access to lots of medical journals and information forums. It is important to talk to other professionals who may have another patient with the same condition and often, though the rare condition itself cannot be cured, it’s actually how you deal with all the manifestations and consequences of it and how you support that family. that is important. You can develop a partnership with patients and then you both can drive it forward, which is much more powerful than trying to do things by yourself. For families who have been given a rare disease diagnosis the first thing I would say is not to panic and not to Google it blindly. It is really important to try and ask your healthcare professional to suggest a good source of information, because they will often know. Another thing to do is find a patient organisation that supports that condition, whether in the UK or further afield. Asking your healthcare professional If they’ve got another family with the same condition, which can often be extremely powerful and helpful and whatever you do, don’t despair, because it’s just the beginning of a new journey. 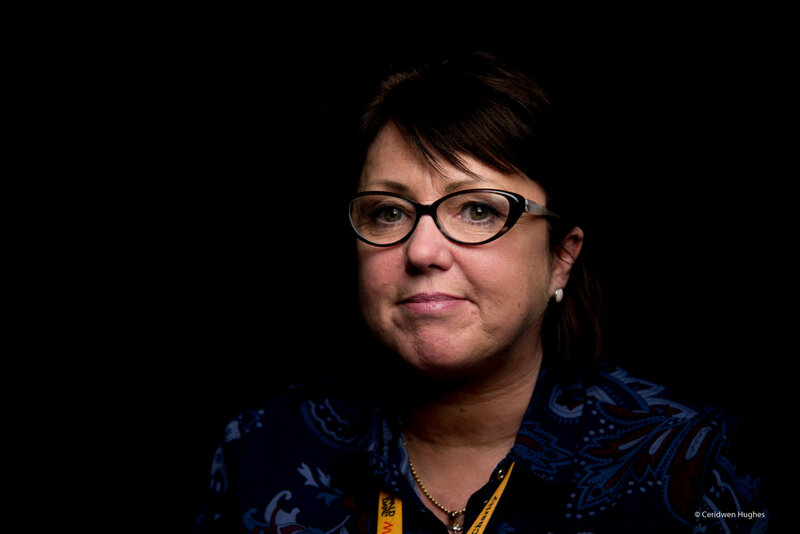 Janet is one of the Roald Dahl Rare Disease nurses at Birmingham Children's Hospital. Getting a diagnosis will help to focus the treatment whereas before having a diagnosis it was all a bit cloudy, a bit unclear. If you are in a hospital like Birmingham Children’s you can speak to our Roald Dahl rare disease nurses. They can really help you understand more about the diagnosis and offer an invaluable support. One of the hardest things for families when they are given a rare disease diagnosis is the feeling of isolation. Finding not many people know about the condition and the despair that they face when they meet people who really don’t understand is difficult. I think when you’re a patient and you’ve got more knowledge than your healthcare professionals, that’s a situation where people despair. I think when you’re a patient and you’ve got more knowledge than your healthcare professionals, that’s a situation where people despair. At Birmingham Children’s Hospital we are about to open a Rare Disease Centre and our ethos is to make sure that we look after the family as a whole and not just the child. There is so much more to treating a rare disease."